Guy has nearly 20 years of experience leading large organizations in the global enterprise software market, and transforming them into highly successful hyper-growth environments. He joined Bringg after spending 6 years in senior leadership roles at Splunk (Nasdaq: SPLK), most recently as COO EMEA. Guy has an MBA from the New York Institute of Technology and a BA from Ben-Gurion University. Lior, previously CTO of GetTaxi and Clarizen, is a serial entrepreneur with years of experience and know-how in disrupting the delivery industry. He is a leader and a hacker at heart who has been enthusiastically active in the open source community and the local startup community for years, contributing, mentoring and helping others with his technical and product experience. 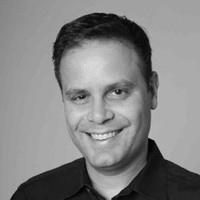 Aaron Rosenson is a General Partner at Aleph. Previously, Aaron worked for Insight Venture Partners, where he identified investments such as Docker, HelloFresh, Moat, Gainsight and WalkMe. Aaron holds a B.S. from the Wharton School at the University of Pennsylvania. Eyal Sheratzky has served as a Director of Ituran for over 23 years as well as Co-Chief Executive Officer since 2003. He also is the Director of Moked Ituran and other subsidiaries including Ituran Network. Prior to this, Eyal served as the CEO of Moked Services. Eyal holds LLB and LLM degrees from Tel Aviv University School of Law and an MBA from the Kellogg School of Management at Northwestern University. Gil Sheratzky currently serves as a Director and Chief Business Development Officer at Ituran. He is also the CEO of Ituran’s subsidiary, E-Com Global Electronic Commerce Ltd. Prior to this, Gil served as the CEO of Ituran GPS. Gil holds a BA in Business Administration from the Herzliya Interdisciplinary Center, an MBA from the Booth School of Business at University of Chicago, in addition to completing the Executive Program at Singularity University. Matthew Cowan is a partner with next47, based in Palo Alto. 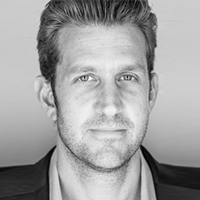 Previously, he was CEO and co-founder of Breezeworks, a mobile CRM platform for small business owners; co-founder of Bridgescale Partners, a late-stage venture capital fund with investments in companies such as BitGo, Jasper Wireless, Plum Organics and Proofpoint; and founding general partner of Bowman Capital’s venture capital group. Matthew holds a BA from Tufts University. 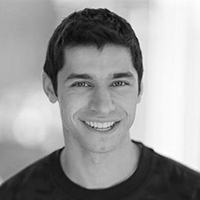 Ziv Ben-Barouch is the co-founder and Managing Partner at Pereg Ventures based in Israel. He has 20 years of experience in leading startups and ventures investments, as an executive and institutional investor. He was a board member at many tech companies and currently sits on the board of Nutrino, Discuss.io, Staq, CB4 and OurCart. Ziv is devoted to helping entrepreneurs elevate and exceed their aspirations. Roy Oron is the Managing Partner of O.G. Tech Ventures, an early growth VC arm of Eyal Ofer. Before O.G. Tech Ventures, Roy was the CEO of SOSA as well as the Head of Investments at Plus Ventures. He was the first investor in promising startups such as YOTPO, HouseParty, and WSC Sports. Prior to this, Roy was VP Business Development with AOL Inc. and AOL Israel Country Manager. 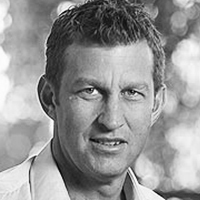 Roy has 16 years of international business development and VC experience.